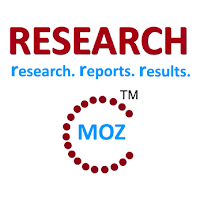 ResearchMoz.us includes new market research report " Global Menswear Industry Guide: Market Size, Shares, Growth, Analysis, Trends And Forecast" to its huge collection of research reports. The global menswear market had total revenues of $438.0bn in 2014, representing a compound annual growth rate (CAGR) of 4.6% between 2010 and 2014. Clothing, Footwear, Sportswear & Accessories Retailers account for the largest proportion of sales in the global menswear market in 2014. Sales through this channel generated $235.3bn, equivalent to 53.7% of the market's overall value. The performance of the market is forecast to accelerate, with an anticipated CAGR of 4.8% for the five-year period 2014 - 2019, which is expected to drive the market to a value of $553.6bn by the end of 2019.